Learning and Teaching Environment Design. This post s overdue as the project was finished in Sept 2015. There were 6 rooms to be refurbished 3 in Physical Sciences and 3 in Edward Llwyd. Once again the careful choice of colours was used although as stated in other posts colour is subjective so I used colours that have worked well in the past with some experimentation. 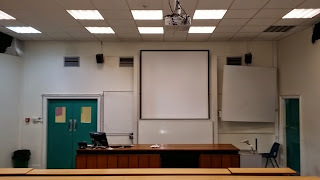 The major addition in these rooms is that 240v twin socket outlets with USB connectivity have been provided wherever it was not prohibitively expensive to do so. 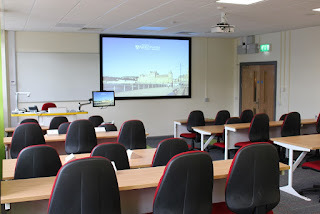 The building work including decoration, lighting and floor coverings were handled by the main contractor. The Audio Visual installation was done by GV Multimedia and the turn and learn seating and lecterns provided by Dalen Top-Tec. 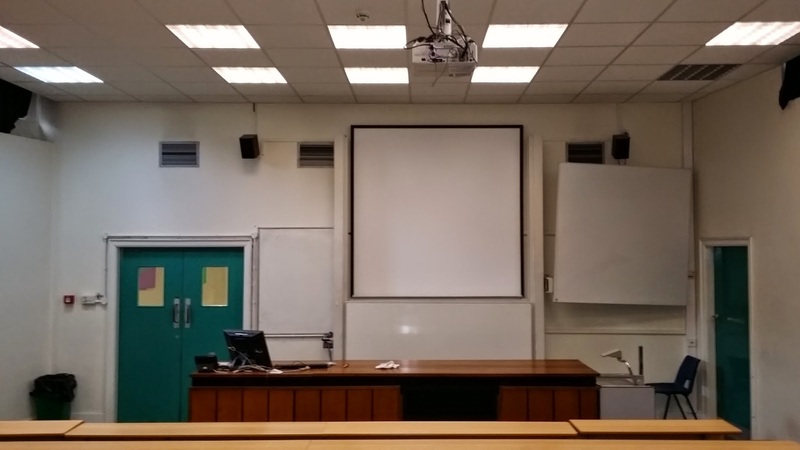 The rooms have been well received by staff and students and have reinvigorated what were very dull and dated lecture rooms. 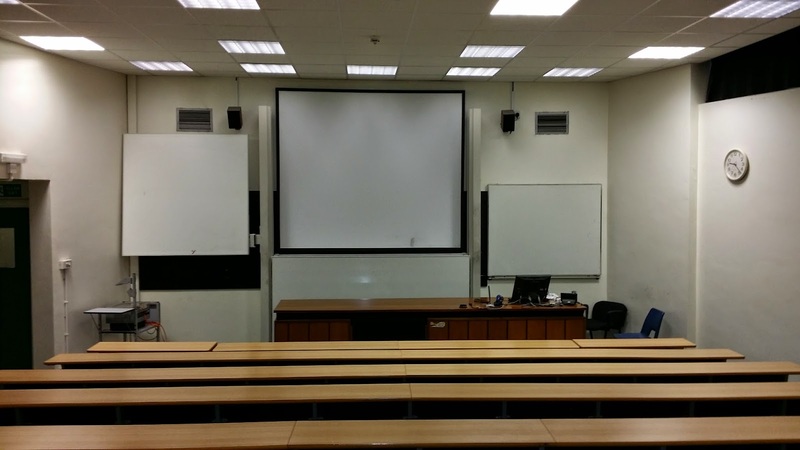 The seating in all rooms is tiered and one room was fitted with Turn and Learn seating. 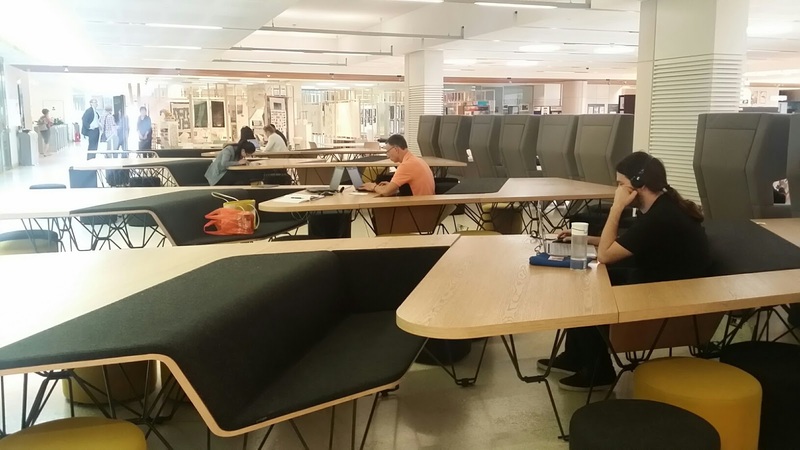 I was recently staying at Westminster University's Marylebone Hall which houses The Faculty of Architecture and Built Environment which houses a very nice open plan learning space. It was spacious, with loads of natural light, busy with some quiet spots, and linked to other spaces such as a halls of residence, library, cafe, lecture theatres and administration offices. Overall a very nice space. 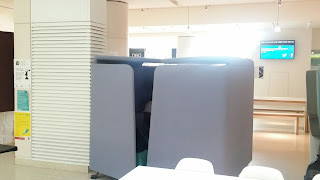 One morning, whilst checking out the furniture and the use thereof more closely, I noticed that pod like benches were being turned into private office like spaces for individual use. Now let me be clear, this is an observation not a criticism as I have no idea what the design brief was but I very much doubt that this is the type of use envisaged. It may be that this type of use of the furniture \ space is only tolerated at quiet times. If anyone from Westminster reads this perhaps they could clarify. Here are the two halves brought together to make a private work space usually for one person, at least the three I saw configured like this only had one person in. Whilst writing this post it has occurred to me that the fire officer may not be over the moon about this configuration i.e a room without a door. My point is that when designing pod like areas, probably with group work in mind, be mindful that it is likely that they will be used in a way that was not envisaged and sometimes undesirable. 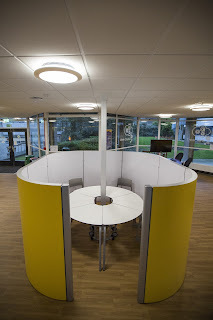 As a comparison here is a pod that I installed in 2014 using Space Oasis furniture. It is not mobile and is used by lone occupants and groups. Groups tend to request lone occupants if they can use the space if no other appropriate spaces are available. In effect self-policed by the students making best use of available space. That is another topic i.e. ownership. Which of course is exactly what the students at Westminster feel confident about. Any other examples people would like to add please feel free. I cannot leave this post without mentioning this furniture. Sorry Westminster. 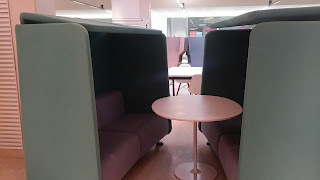 My first impressions was that it is modern, attractive and functional after further observation and reflection I think that the intention of a four seat desk space, two people either side, will not be fulfilled once one occupant takes up residence. The first person in ‘owns’ the space. 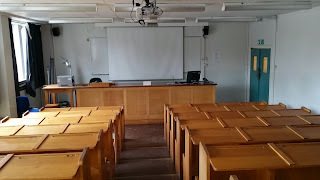 Once again it could be that because the space is quiet at this time of year the students are more spread out. There seems to be an awful lot of real estate on the desks difficult to use from a seated position but please bear in mind that this is an architectural faculty so space may be required for models and large drawings. 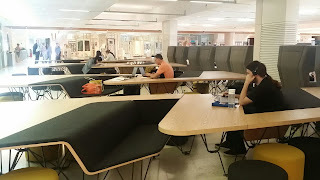 I guess this post is emphasising the need for a clear brief (a recurring theme in this blog) describing the type of use you want to use the furniture for but even then it may not be used as designed or envisaged and that can result in inappropriate use of space and even undesirable health and safety issues. As usual all comments welcomed. 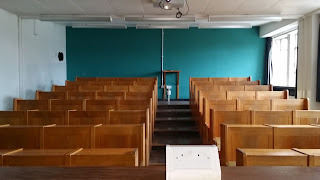 Here are some pictures of the rooms we have strated to refurbish at Aberystwyth Univerity. Expected finish date early September. Completed pictures posted in September. Nigel Thomas. Picture Window theme. Powered by Blogger.